Another rainy day in New England is occurring. We had a sunny summer so am trying to make the best of it. ArtMuseDog and I have gotten short walks in to revive our creative spirits. 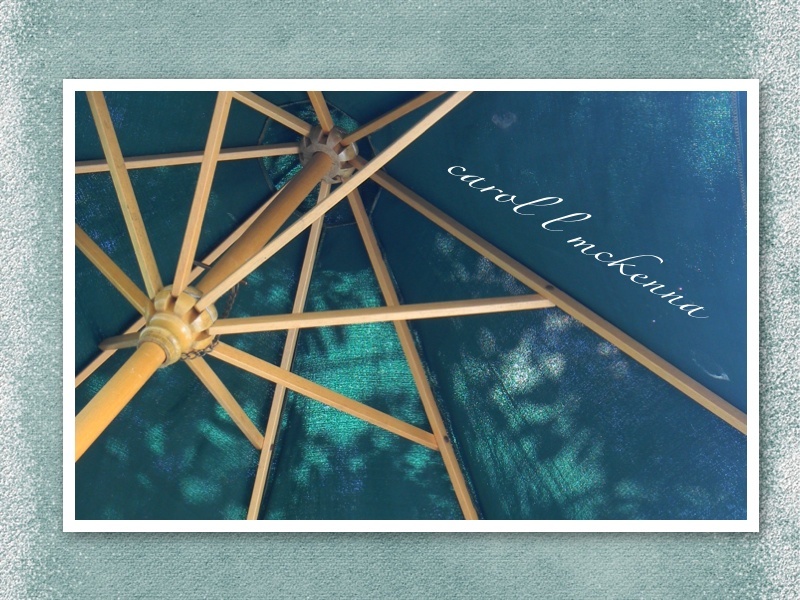 The photos you see above are an abstract of our deck umbrella, rainy scene of feet on deck and alas, the gorgeous sun that will come out tomorrow peeking through the trees of our yard below. An eclectic collection rather symbolic I think of life and the universe and learning to accept what comes our way and creatively working with all that is. Do hope you will visit the lovely blogs above and provide your support. 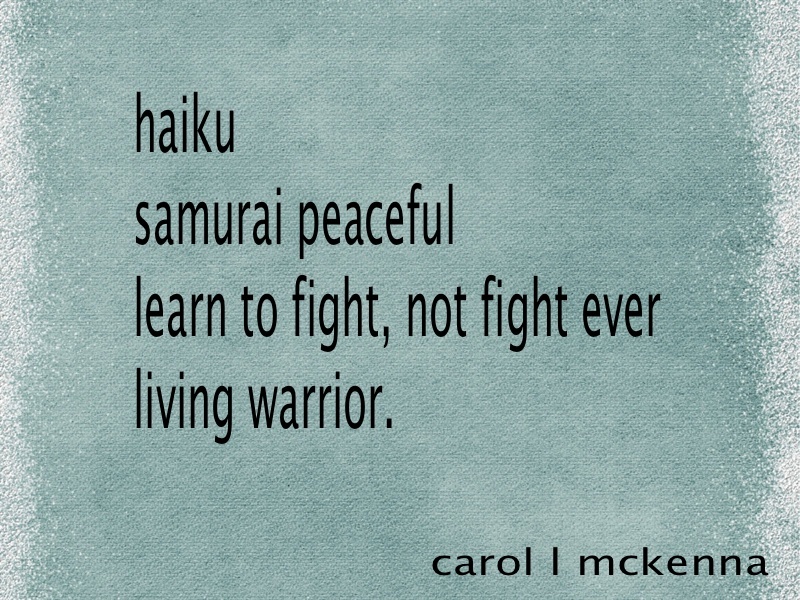 Your photos are just fantastic, and the haiku is wonderful! I love the way you created such a pleasant pattern with the abstract of your umbrella. I like the creative way you photographed the umbrella. I especially like the colors and patterns in the first two photos and the backyard scene looks very relaxing. great angle of the umbrella. Just shows you are the artist. cool umbrella shot...I love when you can barely tell what the subject is! I like the image of the umbrella frame. 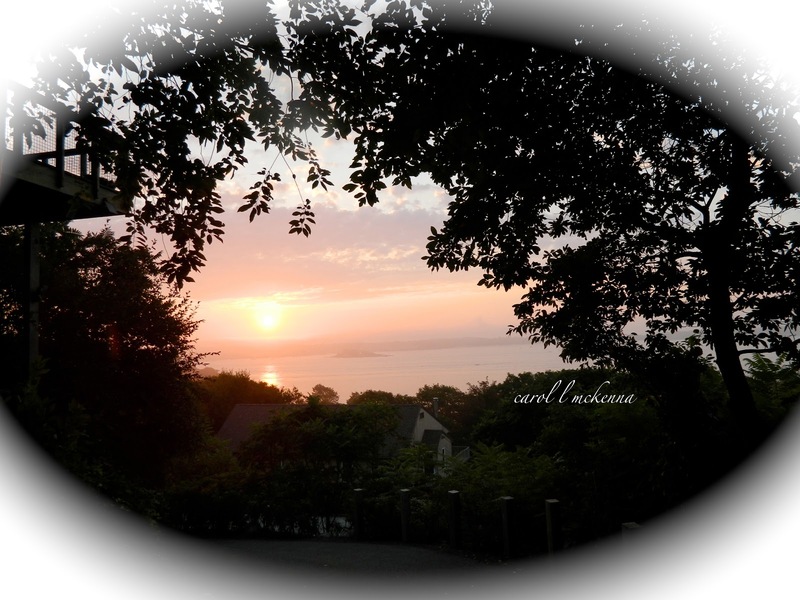 Good day Carol and ArtMuse Dog, what a wonderful post you have linked to Carpe Diem. 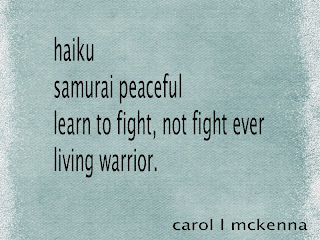 I love your pictures ... and the haiku on samurai is just ... awesome. Samurai were always in balance and sought time to be creative in the arts. A lot of them wrote haiku. I hope I'm not double-posting as my first try at commenting seemed to vanish. These are lovely photos, Carol, and the umbrella shot is especially eye-catching with the lines and that gorgeous play of light on the canopy. Great composition! Great post! Just had a lot of rain here too! Hope you’re having a great week and look forward to seeing you again next time! Great shots. The rain passed on through here earlier this week. it was cold! Beautiful....wish it were raining HERE!!!! That 3rd photo is gorgeous! I like your rainy day feet! I love the shot of the umbrella! I'm envious of the rain. We need some badly. Beautiful pictures! 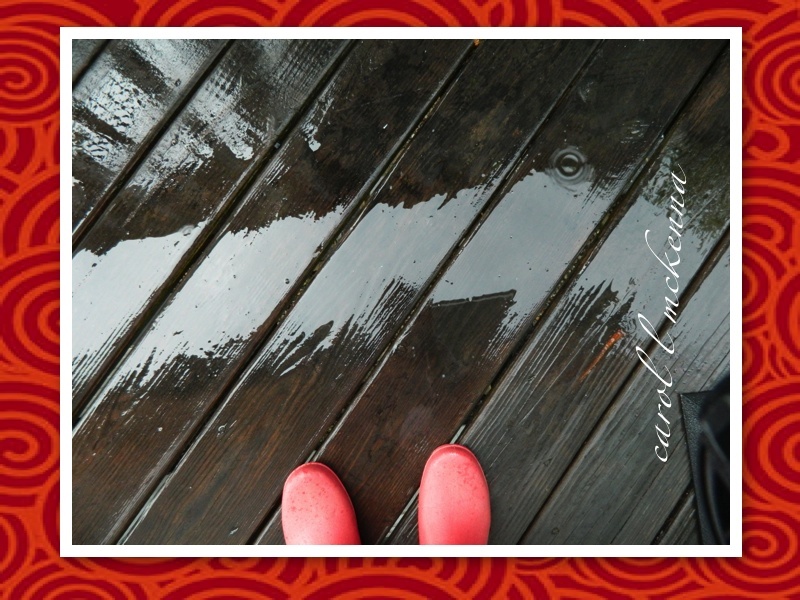 The rainy day boot picture is cute :) Thanks for sharing! Have a wonderful day. Great photos! Love the umbrella for Alphabe-Thursday -- mine's about an umbrella too!! I love that shot of the umbrella. Such a unique perspective! love the rainy day boots! wow, Carol, these photos are so artistically done - love the umbrella shot best, but the other two are fabulous, too.....and your haiga is a perfect take on the prompt! I just love your umbrella shot! I would love to have some of that rain as we are still dealing with horrible drought conditions. This is fantastic! Thanks so much for sharing. Love those red boots Carol! Thanks so much for sharing at Rural Thursdays. Carol, I don't know what it is, but every time a come to visit here, I always leave a little calmer. Thanks for that!!! What a beautifully unique view of the umbrella. We were in rainy Oregon last week and I loved it! Thanks for a fUn link for the letter "U".